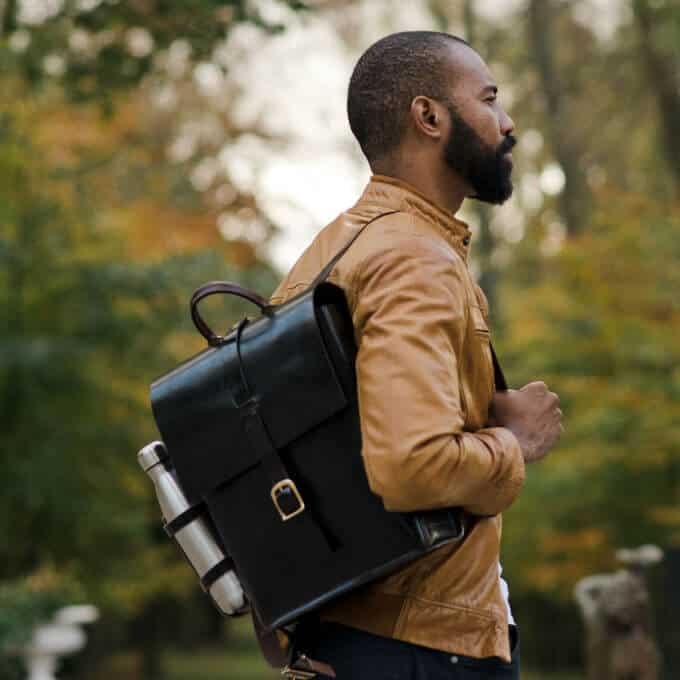 With a stylish water bottle holder, compartments for maps, sketchbooks or even laptops, and plenty of sturdy leather to protect your precious belongings, you’ll be ready for anything. 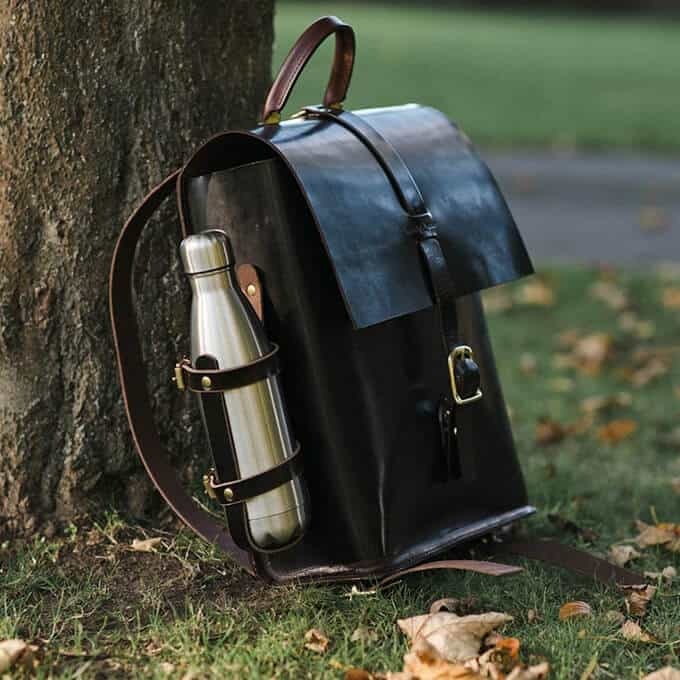 This handcrafted leather bag prioritises travel, accessibility and practicality, whether the wearer’s expedition is to the Arctic or a local cafe. 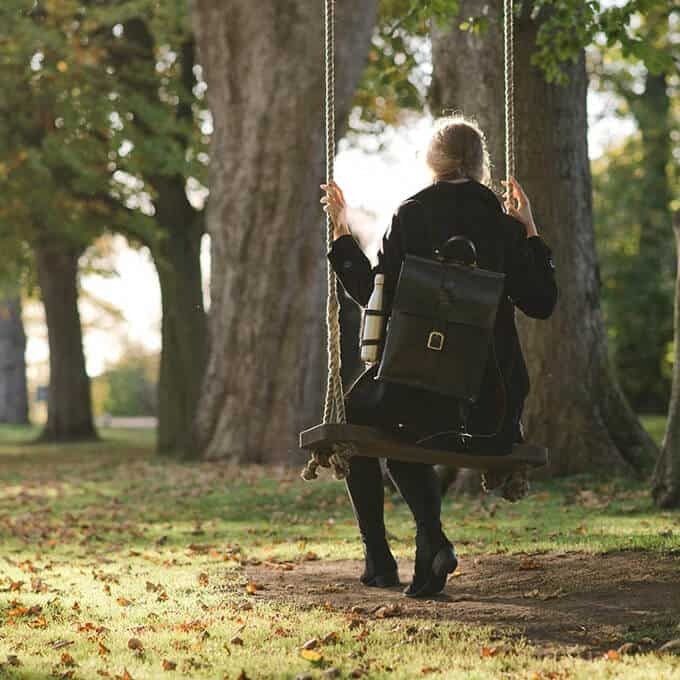 The Explorer Backpack is a timeless piece that harks back to the origins of leathercraft, with visible stitching much like Isobel would have encountered on the handcrafted items of the Inuit peoples she lived amongst, and a natural, earthy palette that reflects Isobel’s interest in nature, flora and the outdoors. 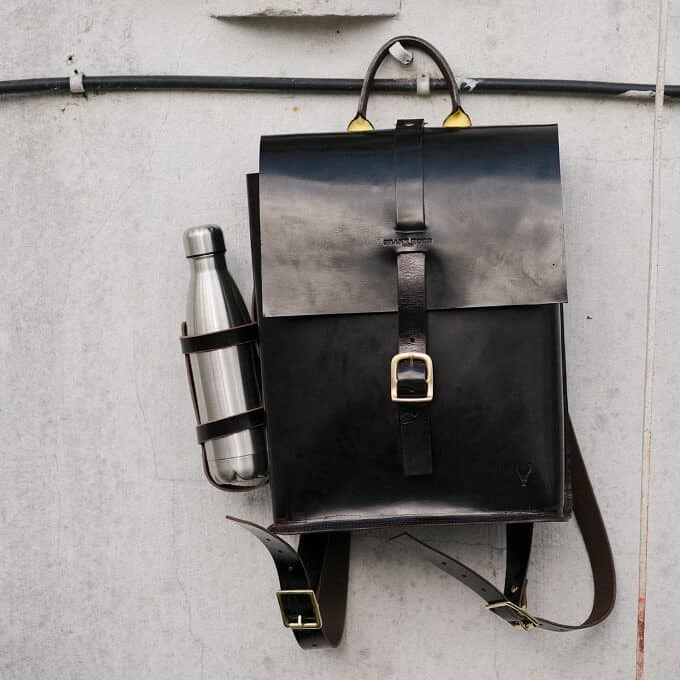 Available with or without the water bottle and side straps. Care: Wipe with a soft cloth. 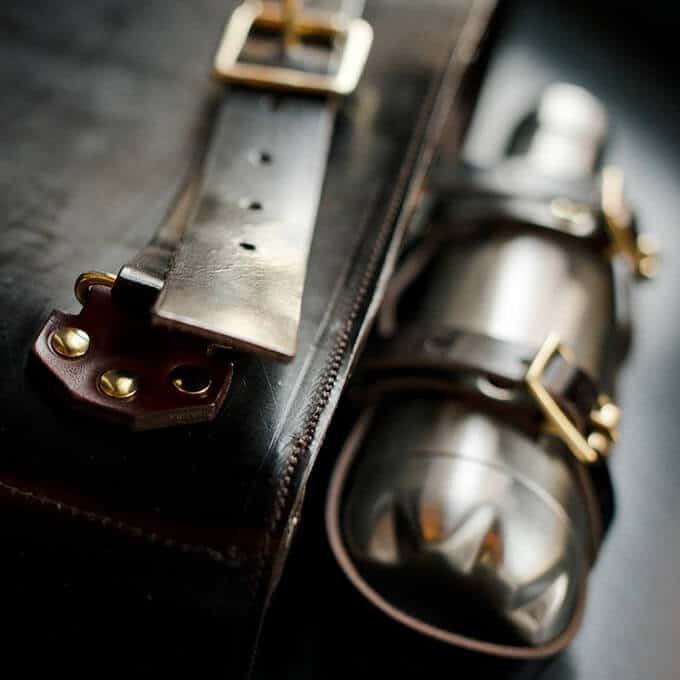 The leather is easily marked.